More often than not, when family or out-of-town guests come to visit, they all have the same to-do item on their list: a Boston Duck Tour. And the request ranges across all ages – Baby Boomer relatives, friends who are busy executives, artsy friends, friends who are parents to kids of all ages. While this is an activity that many locals don't even experience until they have a friend or relative visiting from out of town, it's one you won't want to miss as a tourist. "I think it's something about driving into the river," a local said when discussing the Duck Boats' wide-ranging appeal. "It's just such a weird and unusual experience. Where else are you going to do that? And then the sightseeing and history through the rest of the tour is like an extra bonus." It's true. And if you want to see Boston via a Duck Boat, late-spring through early-fall is the perfect time to do so. They run from late March through late November, though peak season for all things related to tourism in the city is certainly during the summer months when the weather is nice and warm. Before you book your spot, follow my tips for making the most of your Boston Duck Tour. 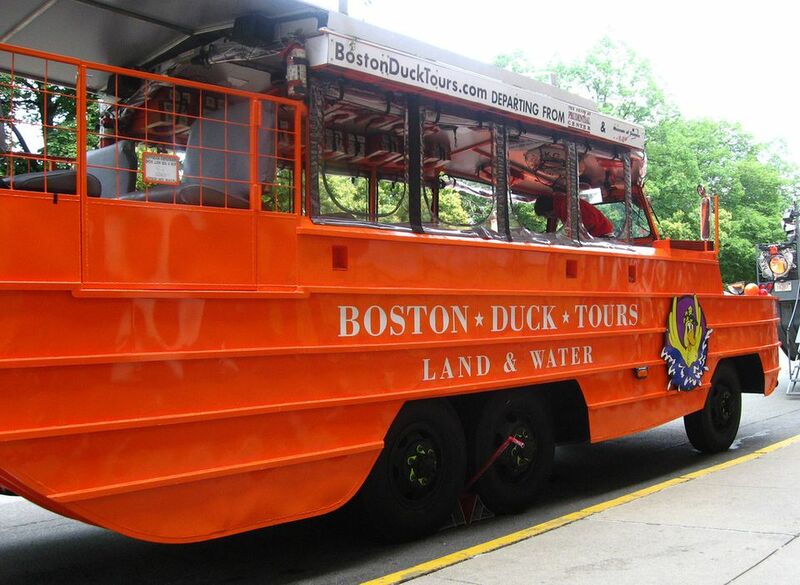 You've no doubt seen the Duck Boats' ubiquitous amphibious vehicles all around Boston, but there are only three places where you can pick them up for a tour: the Museum of Science, the New England Aquarium, and the Prudential Center. Choose the one that's most convenient for your own home base and/or sightseeing itinerary; all are near major tourist attractions, MBTA stations and dining. Are your fellow Duck Boat riders a bunch of early risers? If so, make an online reservation for the 9 or 9:30 a.m. tours from either the Museum of Science or Prudential stops and get an Early Duck discount. (Remember that online-only stipulation: If you show up in person to buy tickets for the early tours, you won't get the discount.) It's also worth noting that only a portion of tickets are released online, so it's still worth checking one of the ticket booths if tickets for the date you want to go are sold out online. There's also the Ride & Save program for those also planning to visit the Museum of Science and New England Aquarium: Show your Duck Boats ticket and get discounts off the museums' admission, café, gift shop, and theaters. You can also get a free tour of Harvard Square with your Duck Boats ticket, plus numerous discounts at the Prudential Center and other Boston restaurants and gift shops. So save that ticket stub and put it to work – you can save quite a lot! Duck Boats tour in rain or shine, and they do drive in to the river (although, truth be told, the splash is pretty minimal). We always recommend that Duck Boat travelers wear layers – it can be breezy out on the water, and if it's rainy, a light raincoat is always a good idea. The Duck Boats are heated and have weather protection, but it's not quite like being enclosed within a typical car or truck, so plan accordingly. Once on board, the tour is about 80 minutes and guests stay on board the entire duration. Approximately 20 minutes of that is spent on the water, with an hour on land taking in many of Boston's historic landmarks and neighborhoods. What you see will depend on where you pick up your Duck Boat, but popular sites include the Boston Public Garden, Boston Common, Boston Public Library, Newbury Street, Quincy Market and the TD Garden. It's destinations like these that make Boston the great city it is.